Michael Hochman, MD, MPH, associate professor of clinical medicine, is the inaugural director of the Gehr Center for Health Systems Science. He is a board-certified general internist who attended Harvard Medical School. He completed his residency in internal medicine at the Cambridge Health Alliance and completed a Robert Wood Johnson Foundation Clinical Scholars fellowship at the University of California, Los Angeles. 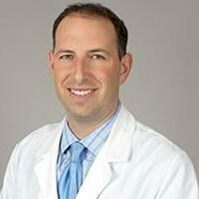 Hochman has written on health topics for the Boston Globe and other lay media, and is the founding editor of the 50 Studies Every Doctor Should Know book series published by Oxford University Press. He also enjoys teaching and has won several clinical teaching awards. In addition to serving as director of the Gehr Center, Hochman serves as the senior deputy for Health Services and Advocacy for Los Angeles County Board of Supervisors Member Mark Ridley-Thomas.